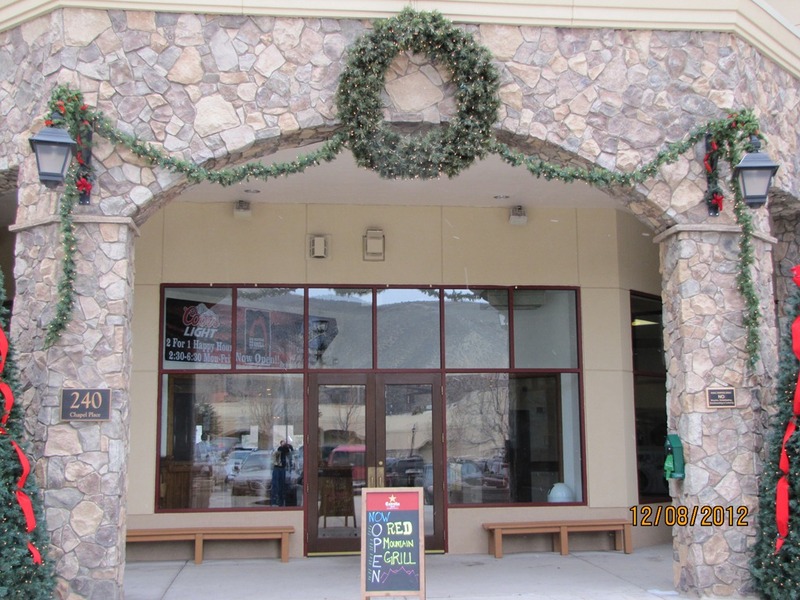 Avon’s Red Mountain Grill – is OPEN! How about some “Happy News” for Avon for a change? Remember the space where Avon’s Outback Steakhouse used to be located in Avon’s Chapel Square, next to Avon’s Office Depot? Well that’s where Avon’s new Red Mountain Grill just opened on Friday, December 7th! Red Mountain boasts the most number of ‘Beers on Tap’ in Eagle County and has a good Happy Hour from 2:30PM till 6:30PM for you to check them out! Not Outback, but worth a try.